The INNOVATOR Enterprise Software Solution provides the tools to better manage your invention disclosure process by facilitating faster throughput and accountability. An automatic IP-specific workflow process routes potential intellectual property to any number of various Intellectual Property Portfolio Managers, IP Attorneys, Patent Agents, and Reviewers—all while creating tasks and documenting where the IP is in the invention disclosure decision process, and identifying the next steps in the invention disclosure review, analysis and decision process. The inventors are the drivers for your invention disclosure process. While inventing is critical to your organization’s long-term success, the process of creativity is something that can’t be forced. Give your inventors all of the tools they need to simplify the invention disclosure process and improve participation. – Our Inventors Portal is designed to give inventors what they want, like a draft/private mode, duplicate invention searching, patent reward tracking, and easy progress monitoring of the status of their invention disclosures and pending patents. The Patent Review Team is the heart of your Intellectual Property decision process. Their expertise and speed are what determines not only the volume, but also the quality of your invention pipeline. Making sure that submitted inventions are “reviewer ready” reduces wasted time chasing down inventors for additional invention information, details, and insures completeness of your invention disclosures. – Our Invention Disclosure Management System provides your patent team a Patent Review Dashboard with the workflow solutions and tools to expertly analyze, review and prioritize incoming invention disclosures, guaranteeing a high-quality stream of intellectual property. The IP Department is ultimately responsible for the management of your entire invention and intellectual property process. 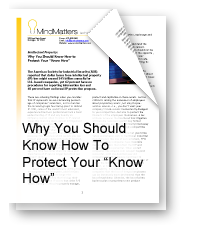 Do you have visibility into your current invention disclosure decision and analysis workflow? 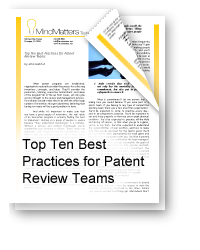 How many inventions are in your patent review process? How long is it taking for your invention disclosures to be reviewed? 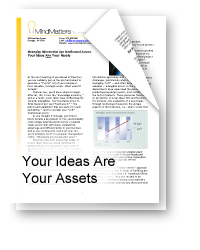 What does your invention and intellectual property portfolio look like? – The INNOVATOR Enterprise software system gives your IP Department the solutions and tools to access and manage the entire invention disclosure review and analysis process, as well as, provides advanced tools such as intellectual property family management, advanced IP reporting and portfolio management, IP management dashboard statistics, trade secret protection, export control and many other time saving and intellectual property management features. Our Inventors Portal is designed to give inventors what they want, like a draft/private mode, duplicate searching, reward tracking, and easy progress monitoring. Invention Disclosure Forms customized and standardized to your business enable your inventors to provide consistent submissions. Auto alerts insure all fields are completed before forwarding for review and witnessing. Draft or Private Save Options allow the inventor to save the invention disclosure to complete or forward at a later time. Advanced searching capabilities, duplicate checking, and the ability to link innovations together make life easier for the inventor. The Inventors Portal allows inventors to conveniently manage and track their inventions. The portal makes it easy for the inventor to track the progress of each disclosure through the entire patent review process. Tasks are easily managed on the Inventors Portal. Reviewers may have questions or need additional information from the inventor. The reviewer can simply assign a task and due date requesting the information. The task will appear on the “My Tasks” section of the Inventor’s Portal. Inventor Rewards are easily tracked on the Inventors Portal. Our solution also provides your patent team with the analytic engine and tools to expertly review and prioritize incoming inventions, guaranteeing a high-quality stream of intellectual property. The INNOVATOR Enterprise is fully customizable to accommodate your invention disclosure workflows, processes, forms and analysis procedures. Using our flexible business process workflow engine, nearly any patent review process can be configured, whether it is hierarchical, linear or a combination. Rules that determine how and when disclosures are moved between various review committees can be manual or automatic and help speed the process. Based on your business rules the system can automatically prioritize inventions to speed the review process for those inventions that will provide the highest return on investment. Due dates can be automatically or manually assigned to expedite the review process for high priority disclosures. Invention Disclosure forms arrive complete, saving time and money. The system’s auto alert feature insures all fields are completed by the inventor before forwarding to the review committee. The Patent Review Committee Dashboard contains the latest information regarding tasks, comments, analysis results, and related attachments. Information is presented on a single page, facilitating a streamlined review process. Collaboration and communication is easy. Collaboration between inventors, review committee members, IP Department, outside counsel, and other groups, all controlled with the highest level of security, creates a dynamic and interactive environment for your Intellectual property. Tasks to be assigned to inventors, review committees and others in your organization are managed from the dashboard. Tasks are created either automatically based on a pre-determined workflow, or manually. Breakthrough ideas will only create new value and revenue if you’re able to capitalize on them faster than your competition. However, speed requires that you minimize “non-core” innovation so that you can match your resources with the most promising projects. By giving form, discipline, and structure to your review process, MindMatters Solutions helps you avoid costly false steps, misdirected energy, and other inefficiencies. We help you manage your innovation resources wisely and profitably. Performing timely reviews is one of the most important aspects of an effective innovation management program. With extensive review committee functions, it has never been easier to manage the entire review process. The scalability and flexibility of the INNOVATOR Enterprise Review Committee processes and workflow is unmatched in the industry. Using our specialized business process workflow engine, nearly any review process can be configured, whether it is hierarchical, linear or a combination. Rules that determine how and when ideas are moved between various review committees help speed the process. INNOVATOR Enterprise is customized to your decision processes – simple or complex – it doesn’t matter! Inventors, experts, key decision makers, others can make up a Review Committee, and virtually an unlimited quantity of review committees can be established. Review Committees can be customized to your review process – multiple departments evaluating the same idea working in parallel. Example: Finance, Engineering and Marketing evaluating the same idea simultaneously with different review criteria – or a linear progression by which each idea must pass a more stringent review evaluation at each stage before moving to the next. Measure your innovations against the standardized question set established by your organization. This provides a standard against which all submissions are equally compared. To make improvements to your decision process, sensitivity analysis can be used to determine which analysis factors have the most impact, so that your decision process continues to become more streamlined and efficient. Using your evaluation criteria, your defined decision process and workflow, and your experts – INNOVATOR Enterprise makes your decision process easy and accurate. 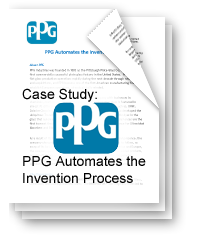 The IP Department is ultimately responsible for the entire invention process. Do you have visibility into your current workflow? How many inventions are in process? How long is it taking to be reviewed? What does your portfolio look like? Our Intellectual Property Portal gives you access into the entire process and provides advanced tools such as family management, advanced reporting, IP management, and dashboard statistics. The INNOVATOR Enterprise provides your IP Department with visibility into the entire Invention Disclosure process. The INNOVATOR Enterprise provides all the information the IP Department needs to efficiently and effectively manage the company’s Invention Disclosure review and decision process, as well as, manage and safeguard all of your intellectual property. Collaboration and communication is easy with INNOVATOR Enterprise . Collaboration between internal employees, external contributors, outside counsel, and other groups, all controlled with the highest level of security, creates a dynamic and interactive environment for your Intellectual property. IP management is advanced by allowing “family” relationships between inventions, patents, agreements, NDA’s, and ideas. The INNOVATOR Enterprise tracks every change made to the invention disclosure to provide an accurate audit trail for management. The Snapshot feature takes a “snapshot” or unalterable time-stamped picture of the invention disclosure or other IP at any point in time to make a permanent record of the document. Snapshots can be automatic based on pre-programmed events or taken manually. 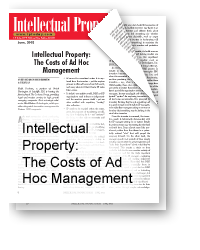 Understanding what is in your IP portfolio is important. Advanced reporting and portfolio management reports deliver the information you need when you need it.